With Valentine's Day fast approaching, is your restaurant already taking bookings and prepared to capitalise on what could be the busiest night after the festive silly season? Rather than have your regular floor setup, you may want to optimise on tables of two's and split up your normal larger tables for either just the one night or for a few days over the Valentine's weekend. If you already have advance bookings on these Valentine's booking dates, you will need to move the bookings onto tables in this layout in order for you to be able to close off the area. 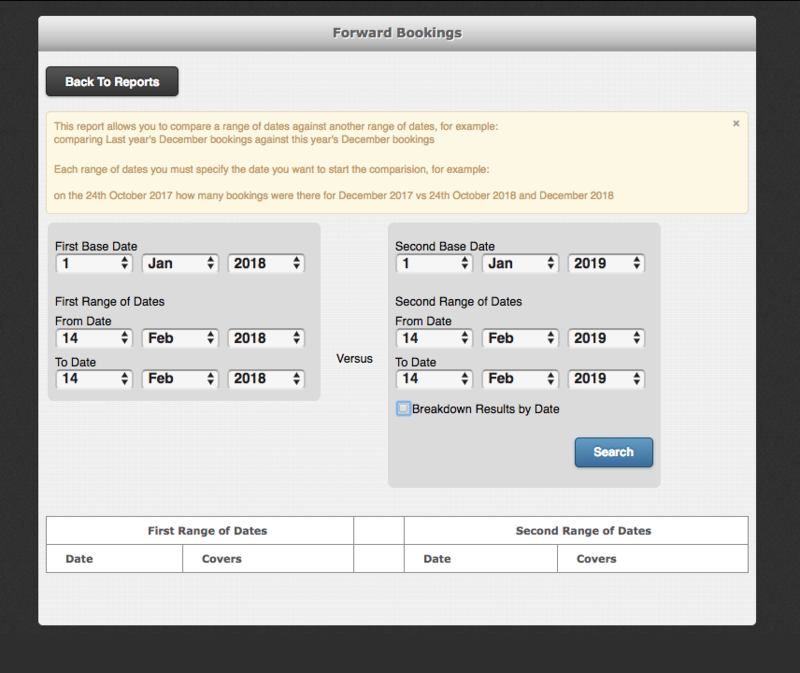 It allows you to compare your forward bookings for a period on a given date, usually "today", with your forward bookings for the same period last year, or in previous years. So if you find that you only have 85% of last years bookings, then you now know that you probably need to do some extra marketing, create special offers in simpleERB and email them to your customer base or advertise on Facebook, Instagram. 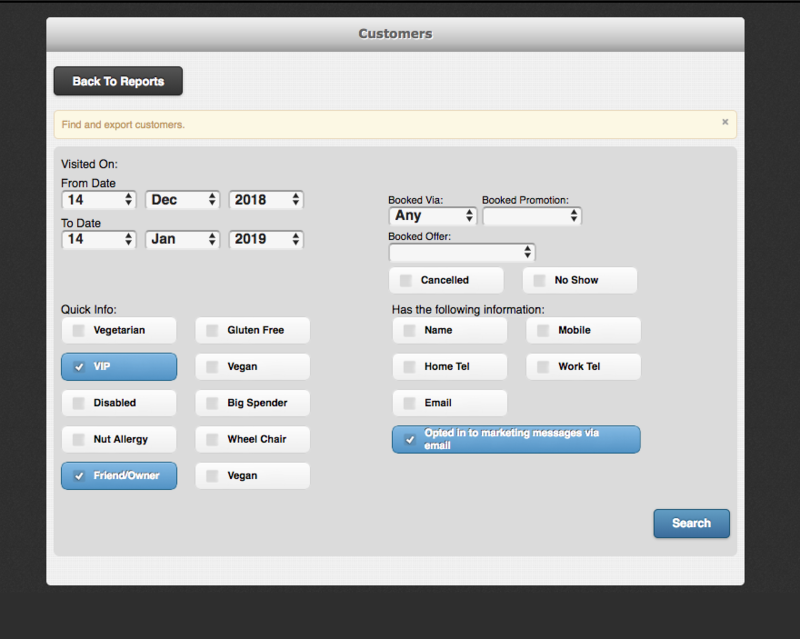 If you find you need to boost your bookings, you can download your simpleERB customer list to create marketing campaigns. 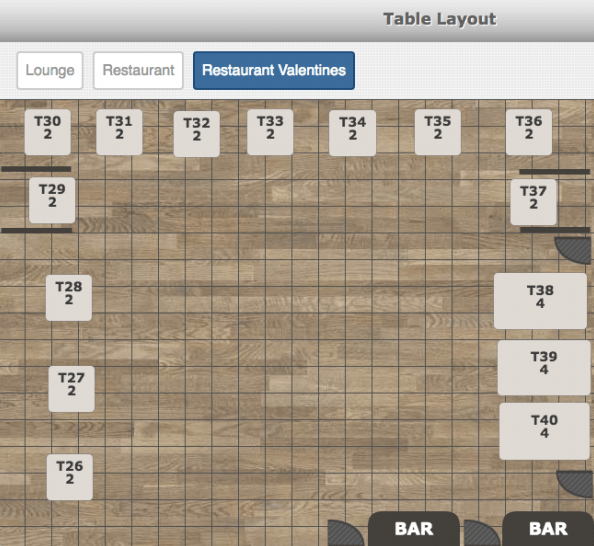 You can also download it specifically for customers who made bookings last Valentine's Day. You can filter the list using various different parameters for example, you may wish to only download a list of customers who dined on Valentine's or you may want a list of customers you have tagged with a particular quick info label.